Ideal for installation in inward opening cubicle stalls, our 8mm black rubber buffer is designed to withstand the force of an opening door, preventing any damage to the partition. These surface fix rubber buffers are suitable for 13mm and 20mm board. For best performance, it is recommended that two buffers are installed per each door to help prevent bowing. Position one buffer at the top and one at the bottom of the door. 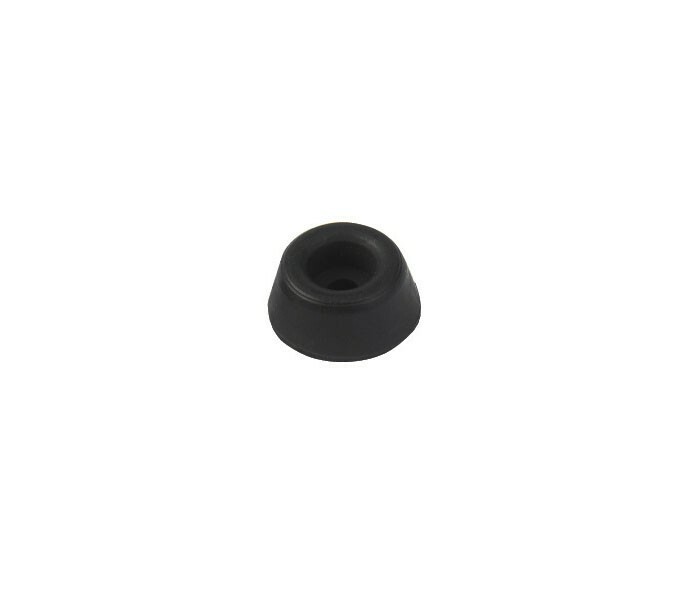 The Cubicle Door Buffer in Black with 8mm Projection measurses 18mm in diameter and is supplied singly with the required wood screws for fixing.